Long summer days have arrived, and moms are searching for summer activities for kids to keep everyone productively busy and happy. You don’t have to spend a fortune to give your kids a happy and memorable summer! When I think back to the summers of my childhood, the thing that stands out the most to me is the overwhelming sense of freedom. 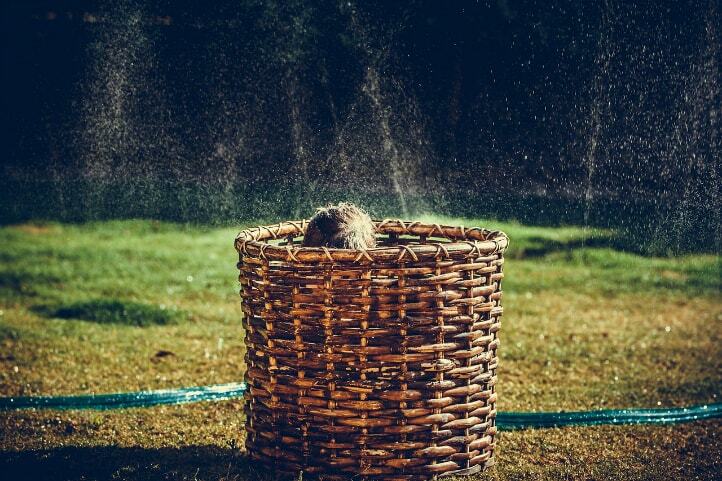 Long summer days spent swimming, eating popsicles, riding bikes, swinging on the swingset, and catching fireflies. And none of those things cost a lot of money. They were simple pleasures that brought enormous satisfaction in my young life. 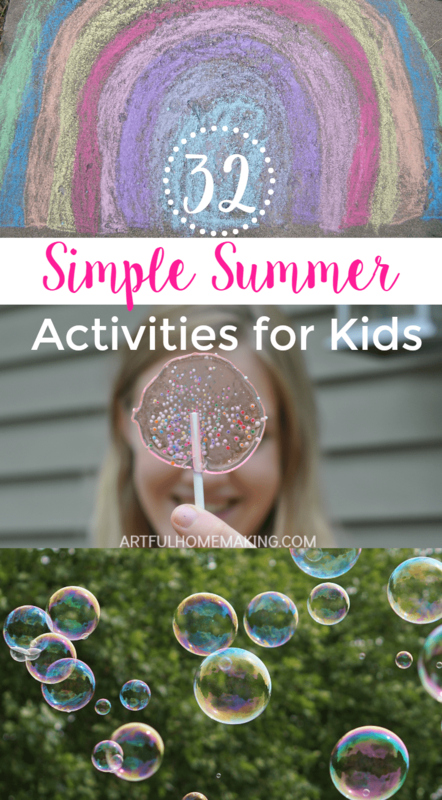 We can give our children those same happy summer memories by keeping things simple. Go to the library and check out some new books. Make your own lollipops. We did this last year, and it was so much fun! Go to the park. This always seems to be a treat for my kids no matter how many times we go. Make your own snow cones. We have this snow cone maker, and my kids love making their own! Go to the lake to swim. Go camping. We have so many happy memories from summer camping trips. Have a cookout in the backyard. Make homemade ice cream. It’s not as complicated as it used to be now that we have this ice cream maker. Put a puzzle together as a family activity. Have a garage sale and let the kids help! Make homemade pizza for family night. Play board games. 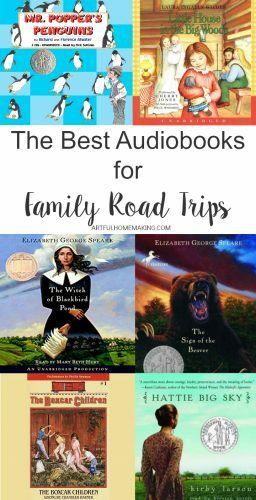 These are some of our favorites. Set up a volleyball net in the backyard and play volleyball. Have a read aloud time every afternoon. Play Hide-and-Seek in the dark. Build a treehouse or a fort. Make paper boats (this is my youngest’s favorite activity!). We found this video tutorial to be helpful. No matter how young or old you are, the simpler life is, the better it seems to be. As our children are increasingly surrounded by technological gadgets of all kinds, I think it’s a great idea to limit screen time and encourage them toward creative play. For younger kids, this will include things like playdough and dress up. For older kids, being creative in the kitchen (making smoothies, snow cones, and other treats), making their own movies, and riding bikes will keep them productively occupied. 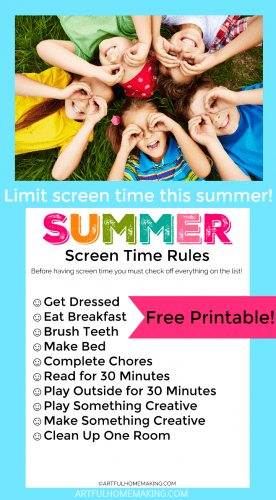 What are some of your favorite ways for keeping your children busy during the summer months? Great list! There are so many fun, free things to do during the summer. I never understood why parents freak out when they’re kids are out of school for the summer, afraid they will get bored! Visiting from the Homestead Blog Hop. Thank you, Alicia! So glad you stopped by! Thank you, Crystal! I hope you have a wonderful summer also! I love your list… thanks for sharing! I try to get the whole family outside as much as possible during summer, but occasionally I lose my creativity for what we should do. Its nice having a list to reference! Thank you, Lisa! I hope you have a wonderful summer!